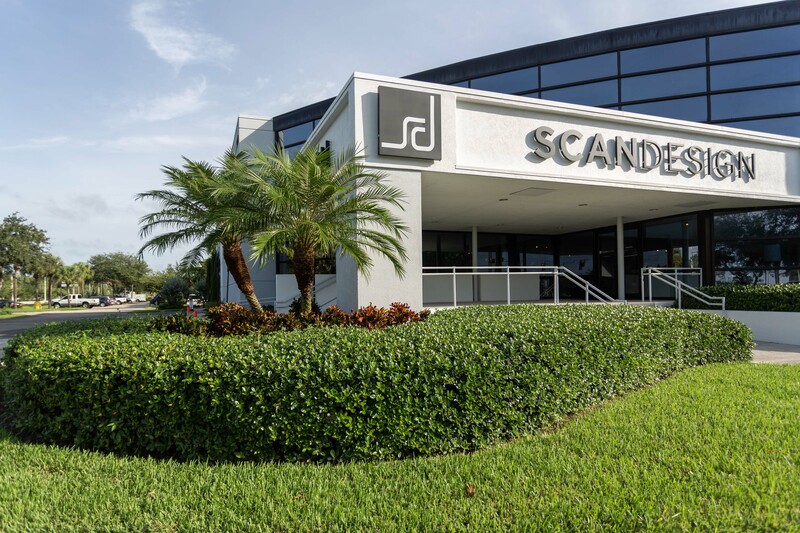 Since 1969, Scan Design has specialized in contemporary furniture. 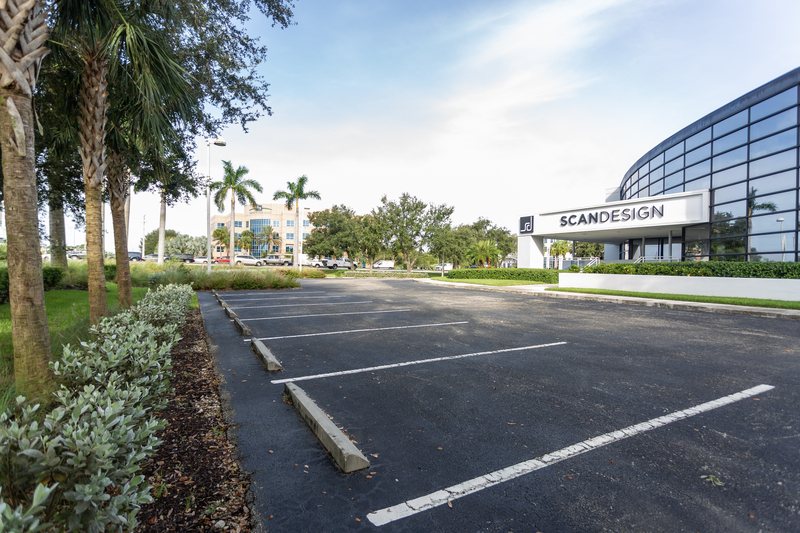 Today, Scan Design boasts over 100 employees and 268,000 square feet of showroom in nine locations across Florida. 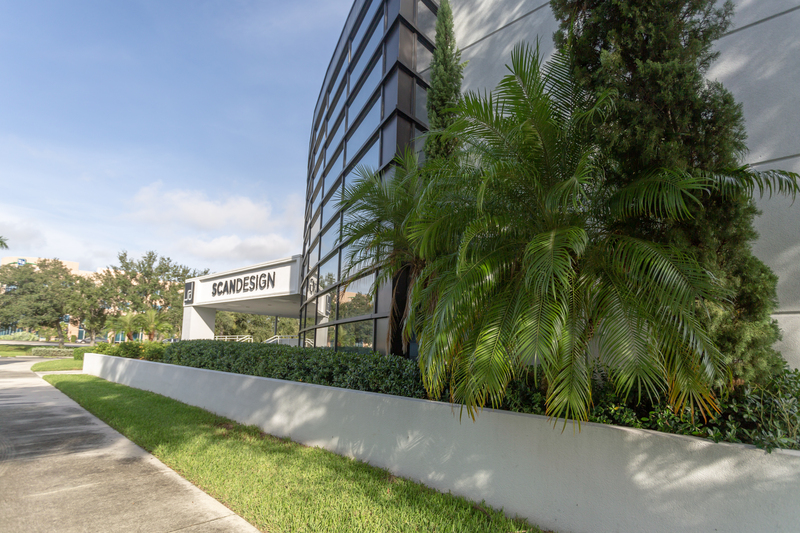 They are currently Southeast Florida’s largest retailer of quality, contemporary furniture. 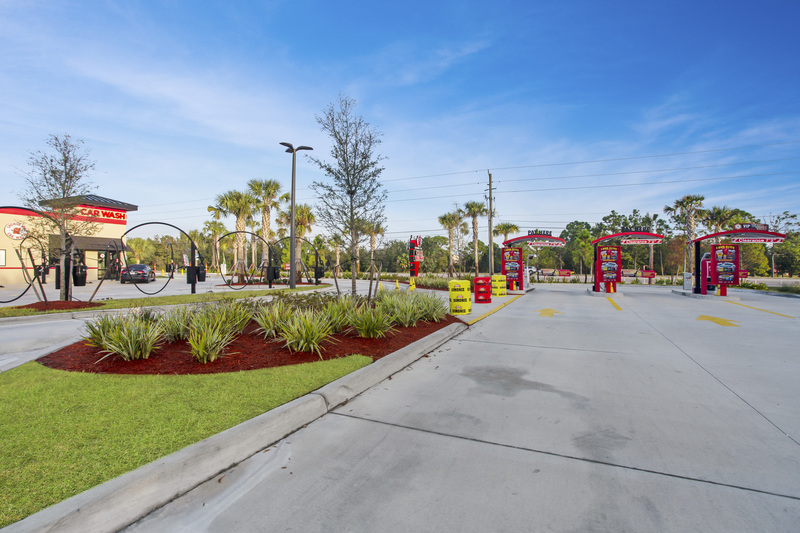 The Landscape Architecture department at Morris-Depew Associates completed the design and permitting for the new Scan Design of Fort Myers located at the northeast corner of the intersection of Metro and Daniels Pkwy. 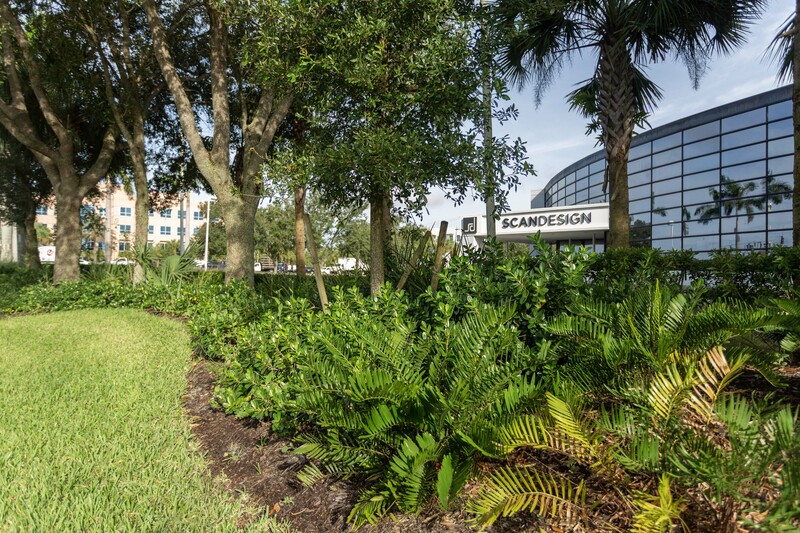 Working in partnership with the owners, MDA created a planting plan that complimented the high-end contemporary furniture and home décor offered at Scan Design. 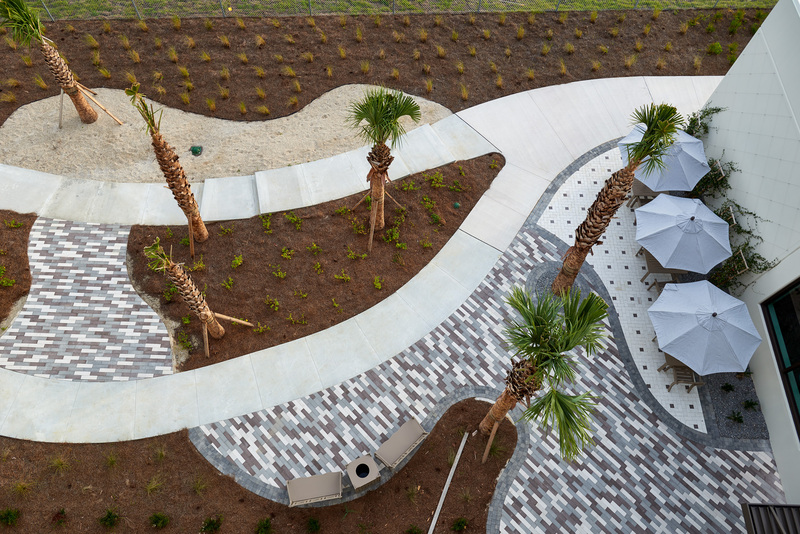 Playing off the existing forms, colors, and textures from the nearby landscape, the design displays a rich color combination of tropical green, matte silver, vibrant pink, and fluffy white that complements the modern styled two-tone building. 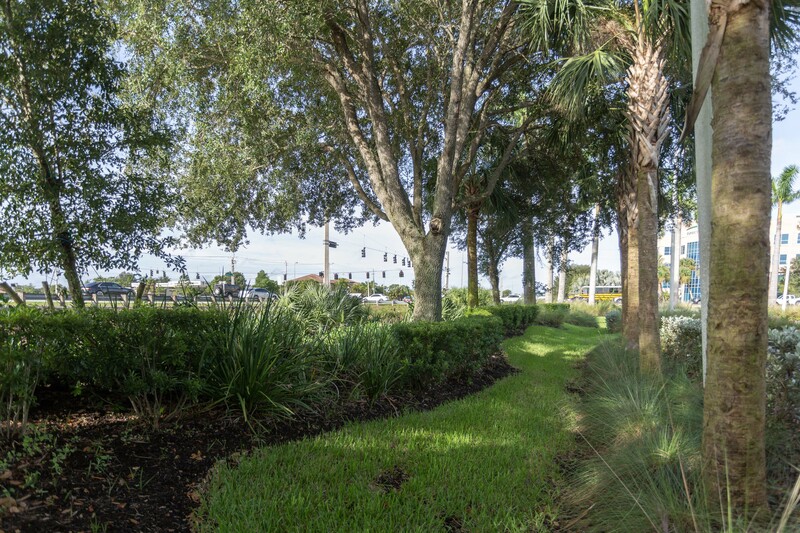 The mix of royal palms, mature oaks, shaped buttonwoods, and architectural Italian cypress allow for framed, open views of the building entry, while providing shade to the parking area, and visual interest while browsing inside the showroom. 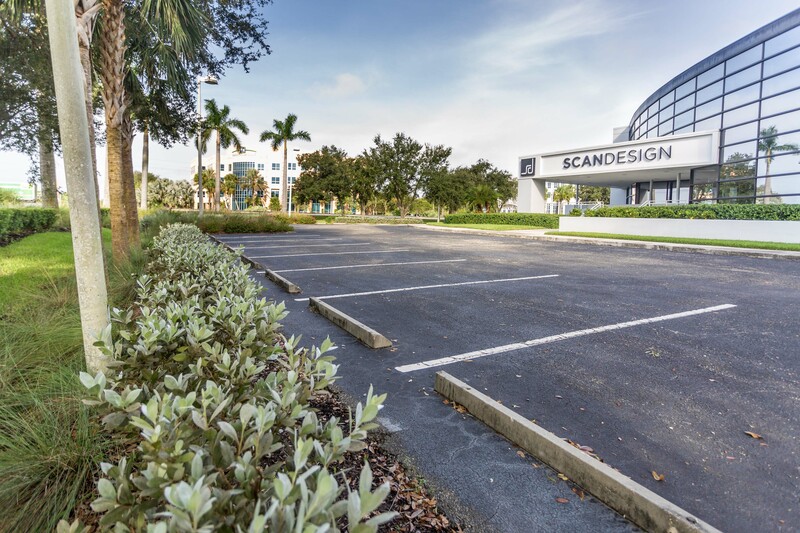 Scan Design of Fort Myers is one of our favorite projects for its highly effective use of a simple plant palette designed to effortlessly pair with the furniture being offered inside. 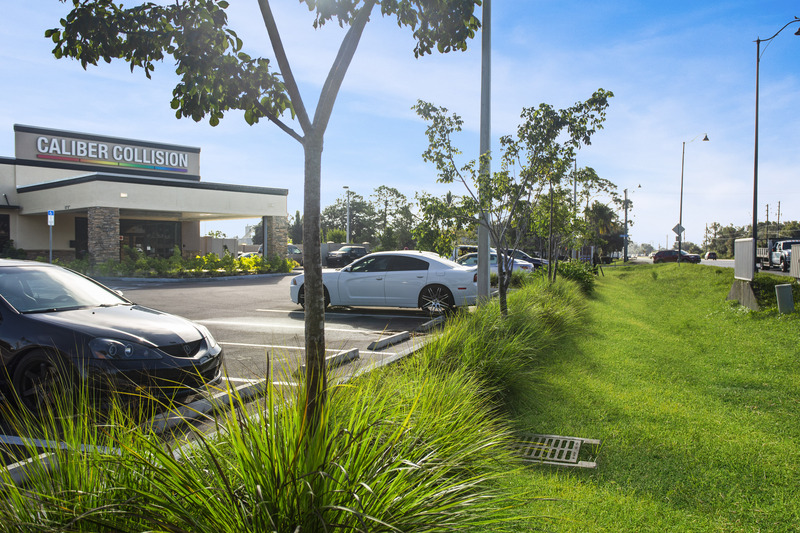 Project services also included conceptual design, construction related services, and the successful abatement of code violations.